By Melissa Lennig on March 13, 2016 4 Comments. This content contains affiliate links. As an Amazon Associate I earn from qualifying purchases. My little boys, ages 6 and 8, LOVE LOVE LOVE NERF® battles! NERF® darts litter our home, yard, and roof but I don’t mind…NERF® battles are amazing exercise and greatly improve hand-eye coordination. This past weekend I was reading on the front porch and watching them play. I noticed my 6-year-old struggling with his NERF® darts. He had about 12 shoved into the pockets of his jeans and they kept falling out. I thought for a moment, then went inside to grab something from my desk. This simple trick has been a game changer. Not only is it helping my boys enjoy longer and more epic NERF® battles, it’s helping them be more intentional about cleaning up their darts. 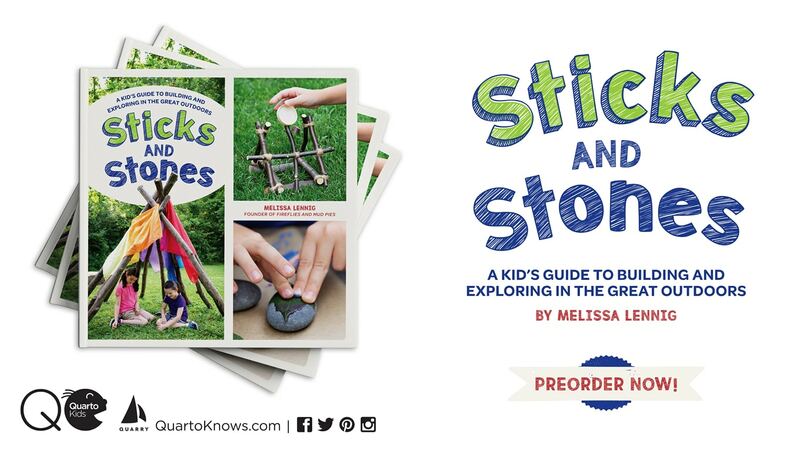 Previously, my boys would see a dart in the grass and run past it because they were out of storage—their pockets and hands were full! 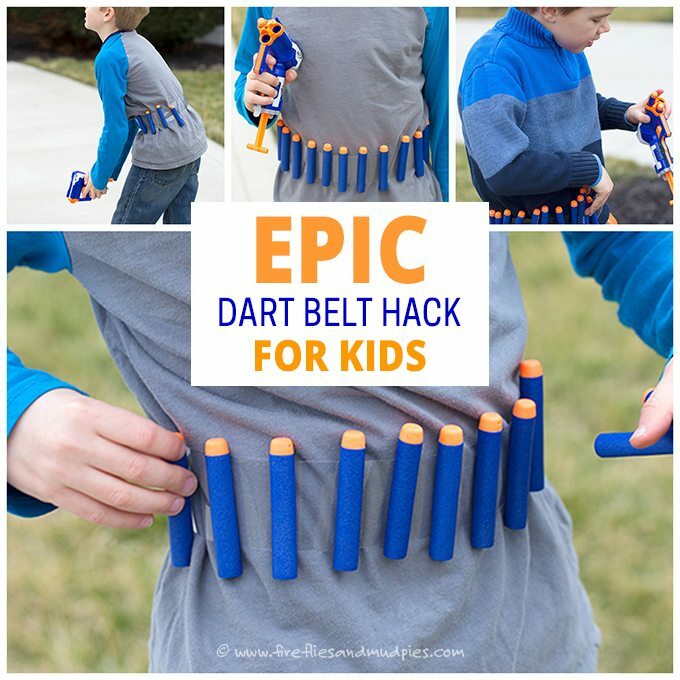 Now the kids grab the dart, stick it to their belt, and continue playing. It’s so simple! 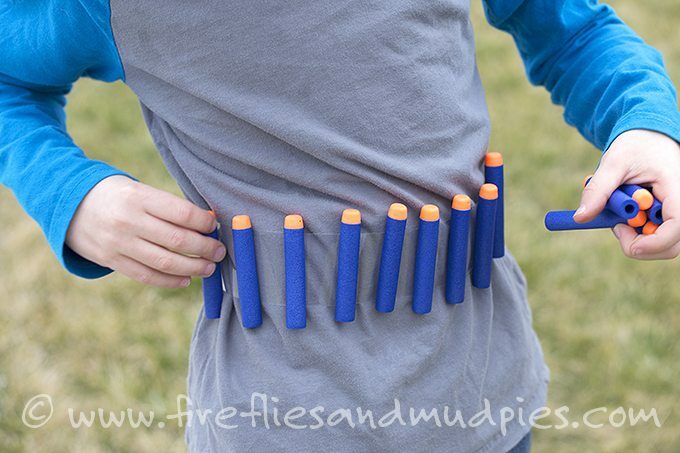 Loosely wrap packing tape around your child’s waist (sticky side out) and they have an instant dart belt! 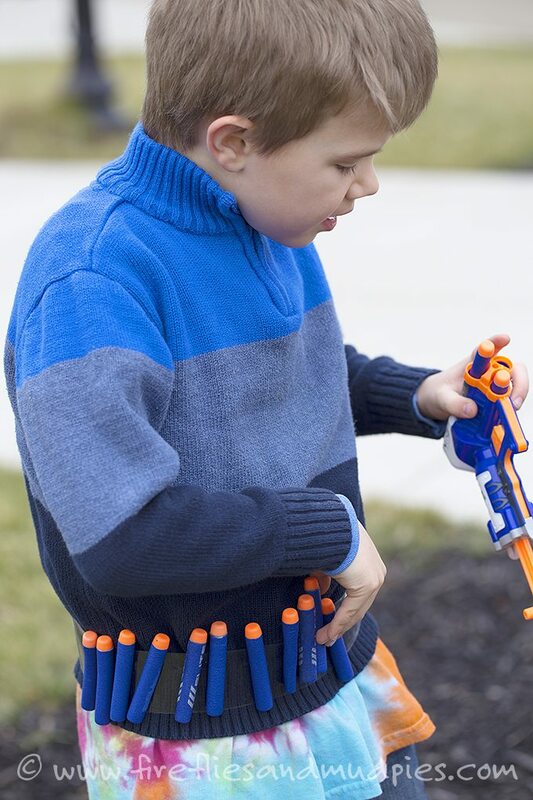 It makes reloading NERF® guns and bows easy and frustration-free. More ammo means more fun! 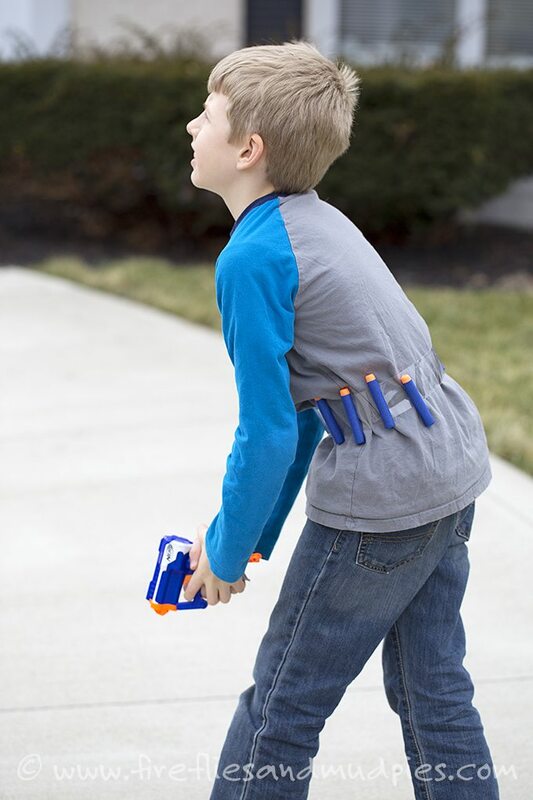 The boys chase each other for hours and enjoy their own versions of hide-and-seek and tag…NERF® style! When playtime is over, simply pull the darts from the belt and use scissors to remove the dart belt from your child. Genius! My kids are going to LOVE this! This is a great idea! My boys are reading this with me, and want to know if the tape rips the foam of the bullet. Thank you! We didn’t have that experience with Nerf brand bullets. We also didn’t use super nice packing tape…it was packing tape from the local dollar store. If you are worried about ripping, stay away from better brands of tape, like Duct! Thanks for asking!